Viola Cafuli Photography, Trace Projects Berlin. Artist: David Ebner. Natural and unnatural boundaries and its aesthetics are now unclear. Technology and its language become an intrinsic part of the everyday life. 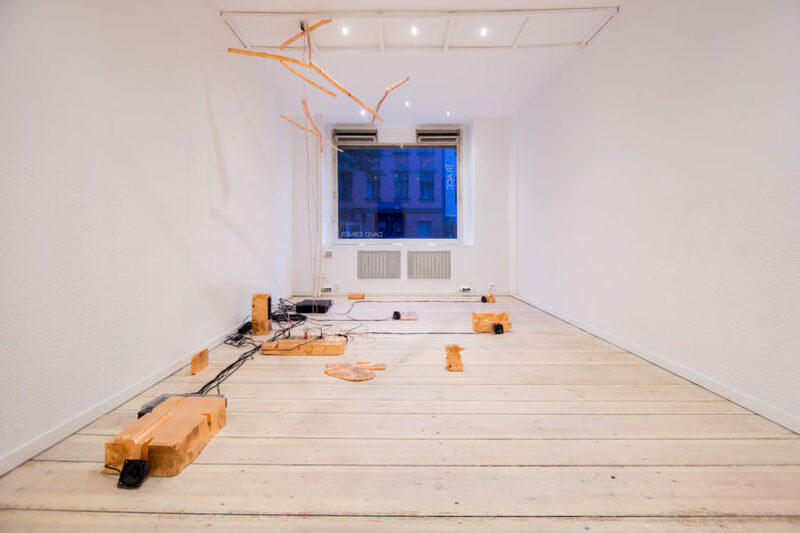 In a similar way, installation art has also incorporated technological aspects and assimilated the digital in multi-media artworks challenging the space, expanding its reach and reinventing an architecture that expands into the self, presence, and influence. 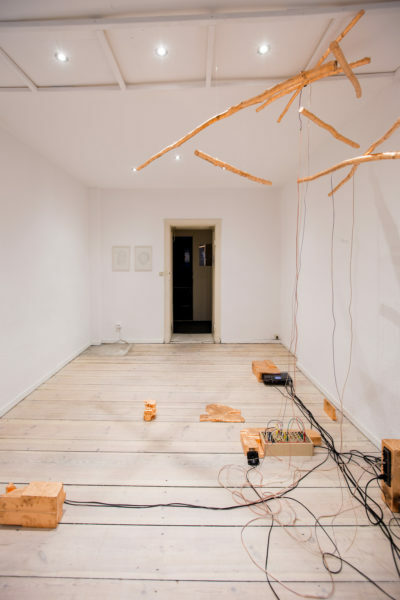 In the installation, Belebte Unbeweglichkeit, Ebner presents an interplay between objects that by artificial and continuous inputs develop into an isolated communication scheme. 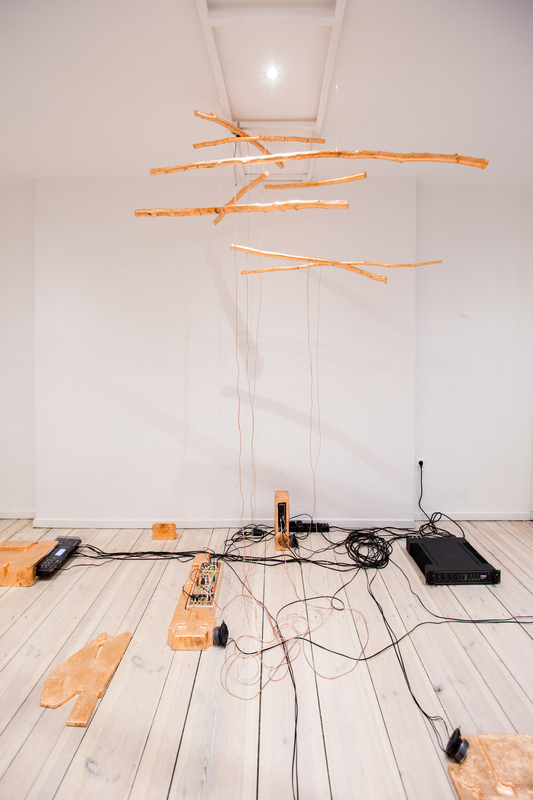 The work is divided into three sections: above, ground and sound. The above is composed of branches that the artist collected from wanderings in Trier, his home town. Ebner carefully covered these branches with copper, transforming all its surface into a electrical conduit. The branches are then distributed into the space, floating from the ceiling in a display that does not resemble the natural configuration that branches take in nature. Here the objects are located in constant tension to each other, where an instigated touch is caused by engines: every two objects function now as a trigger. The passive and tranquil elements of branches are superseded by a new industrial like existence. 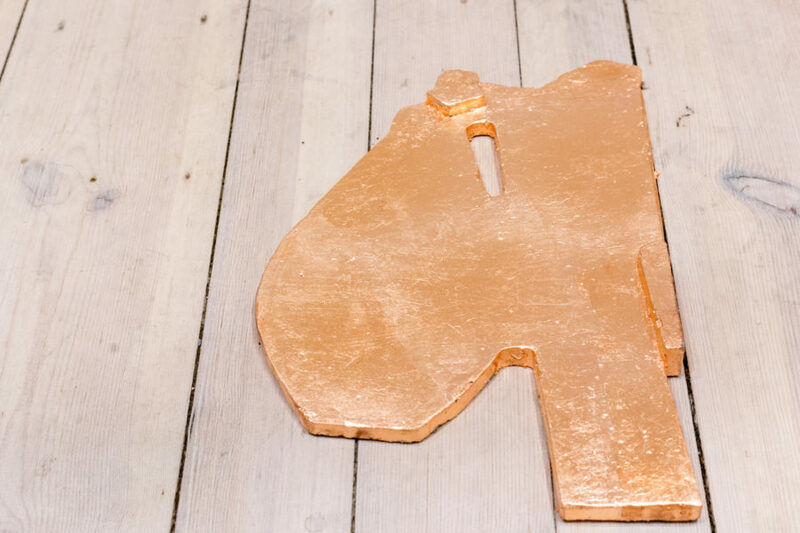 The ground part is configured by found objects that the artist has casted using concrete and are also covered with copper. 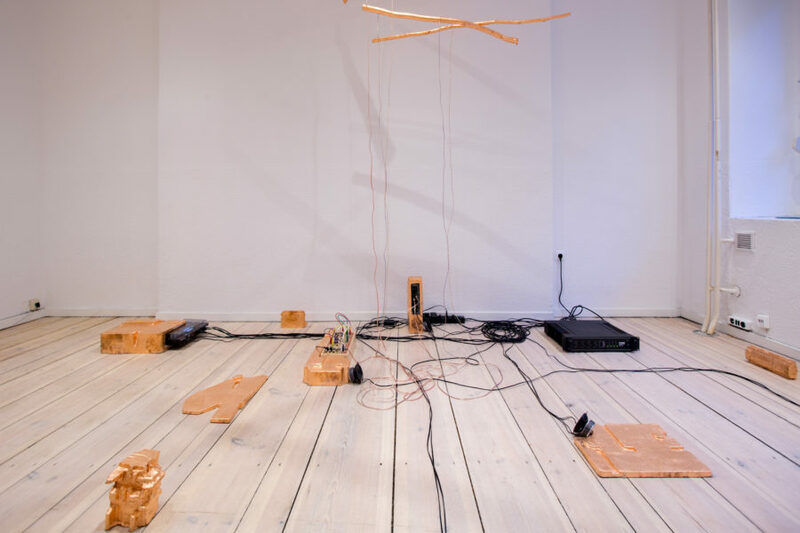 The objects are then connected to sounds devices, the pairing gives these objects a new life in this larger interconnected system of cables and diverse outlets. 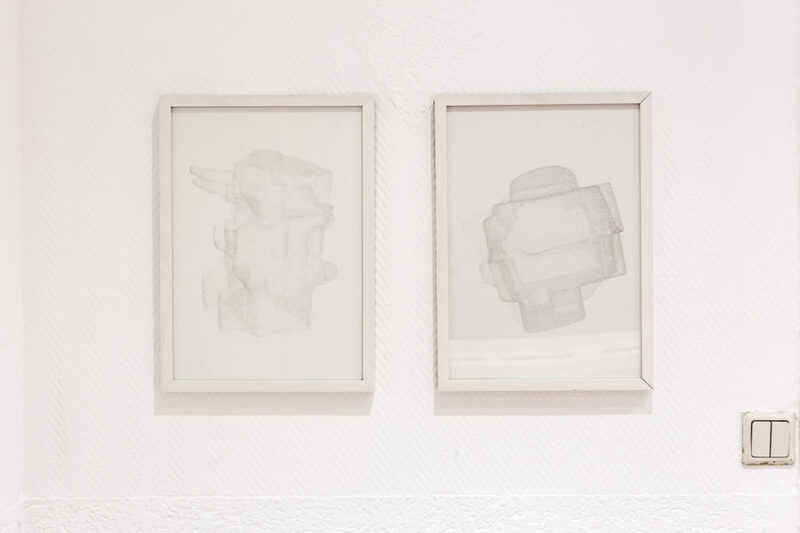 The concrete objects also resonate as unknown architectural constructions. By modification and surface intervention the artist draws attention to these otherwise overlooked bodies. The sound element functions as connector between above and ground sections. 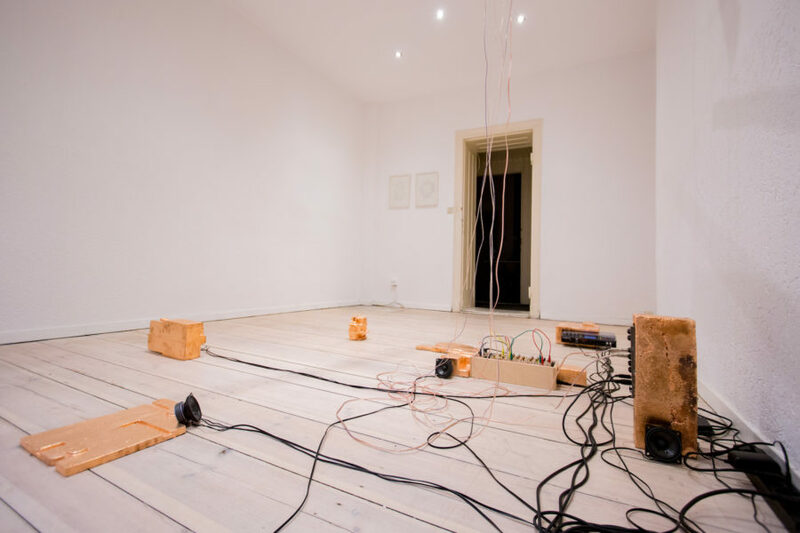 Here Ebner generates sounds based on the idea of chance operations, as created by composer and artist John Cage. The sounds are the result of a generative combination of samples whereby the artist combines and remixes electronic inputs. The process results in chopped signals, granular-like outputs that evokes the other-time’s Musique concrète present in the works of avant-garde pioneers Pierre Schaeffer and Pierre Henry. In this second time being installed, Belebte Unbeweglichkeit concept is expanded by exploration of the architectural aspects of the objects. Ebner used photogrammetry to render two of such elements and creates a digital image that resembles simultaneously an organic and architectonic drawing. These objects are described by the artist as Modelle ohne Maßstab (models without scaling). The installation’s cycle of engine, trigger, sound, engine, is a random, independent and perpetual existence. The objects and electronic circuit in uninterrupted flux function as a communication scheme that only exists in the realm of the electronic. 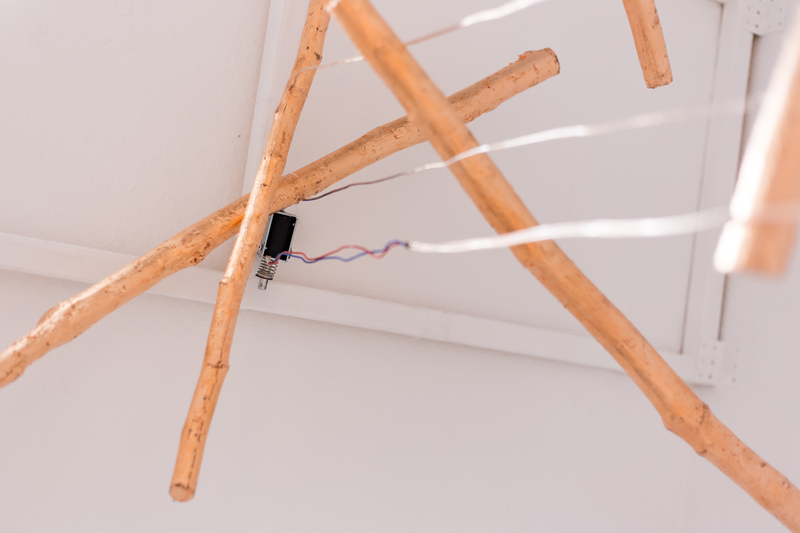 Visitors are invited to walk through such structures and observe its self-interaction, although they never become fully aware of the order of messages being exchanged and what they mean. In similarity, machine to machine communication is a growing field represented today by the internet of things recent developments, an area where information related to human beings are exchanged in a language that the subject does not understand or has access to. Ebner’s work strikes a balance between natural and artificial objects that in this circled communication exists as if only for itself. The audience is nothing else but a visitor in this idiosyncratic form of dialogue. It is thus possible to make a musical composition the continuity of which is free of individual taste and memory (psychology) and also of the literature and “traditions” of the art. The sounds enter the time-space centred within themselves, unimpeded by service to any abstraction, their 360 degrees of circumference free for an infinite play of interpenetration. David Ebner (1988, Trier, Germany) is a sound and installation artist based in Berlin. He studied Intermedia Design at Trier University of Applied Sciences under the supervision of Prof. Dr. Gunnar Schmidt. Ebner took part in international exhibitions in Carlow, Krakow and Paris. 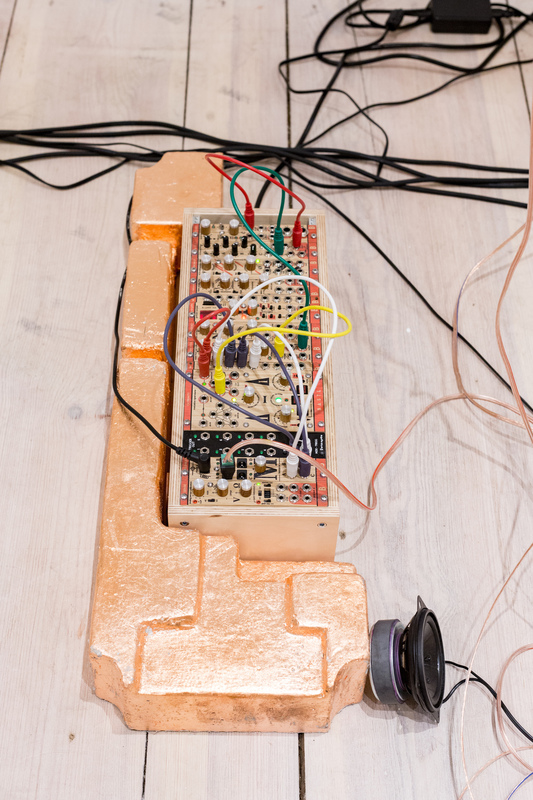 His body of work includes sound sculptures, objects and public installation. Ebner focus lays on the aesthetics of working materials such as wood, concrete, lead and gelatine. These materials being thereafter animated by the use of sound. Whilst working with this new animated existence, Ebner explores the spatial dimension of his installations in relation to his reinvigorated objects.